Inspiration. Imagination. Innovation. 'See' the finish before the painting starts. No matter what you are planning to decorate, Resene’s range of virtual colour services, from the Resene RenderRite full rendering service to Resene EzyPaint virtual painting software and the online colour library, will enable you and your clients to make more confident and quicker colour and finish decisions because you will both know what the finish will look like before the decorating starts. More decisive clients will save you time and frustration giving you more time to focus on what you do best. 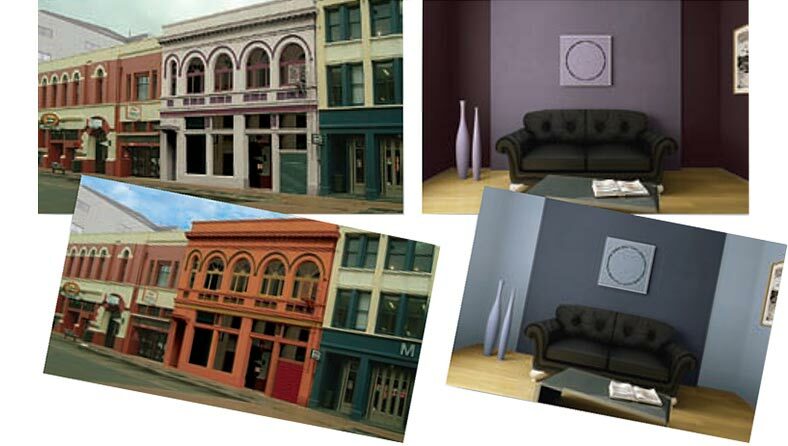 Visualising the effect of an interior or exterior colour scheme on a building and verbally communicating that vision to others can be a difficult, if not impossible, task without the use of visual aids. Often quoted that a picture is worth a thousand words, it is a superb way to communicate a new colour concept to others. Yet in the fast paced business world taking the time to painstakingly recolour images is a luxury that few specifiers or clients can afford, which is why Resene created the Resene RenderRite service. 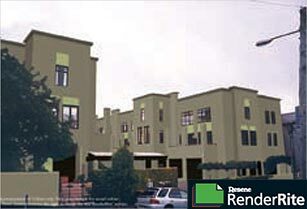 When it comes to picturing the future, you can’t go past Resene RenderRite, an integrated rendering service that delivers fully recoloured images from your original photographs or digital images. 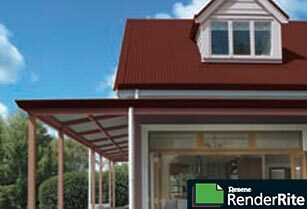 Using a combination of Resene EzyPaint and Photoshop technologies, the Resene RenderRite service will deliver fully rendered images from your original image. Following your instructions Resene RenderRite staff will scan, path and recolour selected areas of your image in the Resene colours of your choice. Or if you prefer to take the hands-on approach (see over for more detail) and virtually paint the project yourself, let the Resene RenderRite staff save you time by pathing the image on your behalf, giving you more time to focus on virtually painting. Resene EzyPaint Pathing, or Pathing and painting service. Photoshop Pathing, or Pathing and painting service. 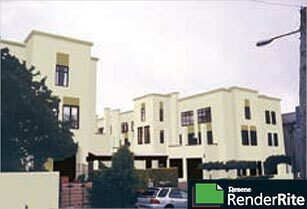 Resene QuickColour render – less detail, 2-3 working days. A4 full colour printed images. Viewable and virtually paintable Photoshop or Resene EzyPaint files. The ability to ‘see’ the finished project complete with the preferred colour scheme/s takes the guesswork out of colour selection for specifiers and clients alike. Whether you are seeking a quick confirmation that the selected colour scheme works or detailed rendered scheme options so the best can be selected, the Resene RenderRite service has a range of electronic colour image services ready to assist. Completed images are usually express delivered to you by email with a follow-up hard copy. With flexible image delivery options including email file attachments, CD Rom copies and hard copy coloured prints, the finished image can reach you no matter where you are. The flexible delivery options also facilitate the flexible delivery window, with electronic images usually available within 2-7 working days following receipt, depending on the service selected. Faster turnaround times may be available – please check at the time of ordering. 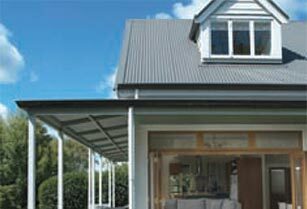 Selecting the Resene QuickColour less detailed render option or Resene EzyPaint pathing service will generally result in a quicker turnaround time. 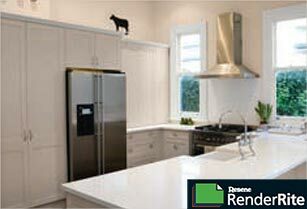 Best of all, the Resene RenderRite service is free to Resene specifiers working on qualifying projects. 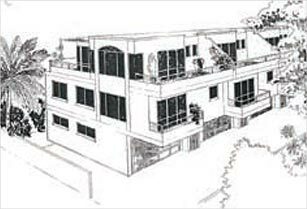 Provided the project meets the Resene RenderRite criteria and Resene products are used for the rendered project, then the full cost of the render will automatically be waived. With the average render valued at $300 – $1000 depending on complexity this cost waiver is Resene’s way of thanking you for your support. To find out more about the Resene RenderRite service and to check whether your next project qualifies (some volume minimums and job specifications apply), please contact your Resene representative. 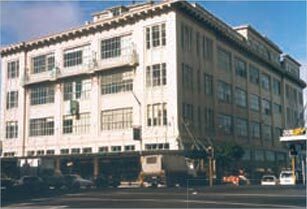 As with all electronic processes, the finished result is only as good as the inputs. When using the Resene RenderRite service, please supply high quality clear photographs or high resolution digital images for the best quality finish. No matter whether you are a PC or Mac user, if you are keen to become a hands-on virtual painter, Resene RenderRite is the ideal way to get the best out of virtual painting without the downtime associated with file pathing. 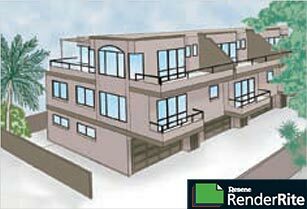 Save yourself time pathing your next image – send it to Resene RenderRite for pathing in Resene EzyPaint, then concentrate on virtually painting the supplied pathed file. Working with Resene EzyPaint files gives you the flexibility to work on the colour scheme at your convenience and side-by-side with your client if desired. 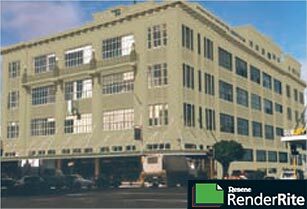 The Resene RenderRite service can supply fully pathed, or fully pathed and painted Resene EzyPaint files to you, ready for you to manipulate to suit. 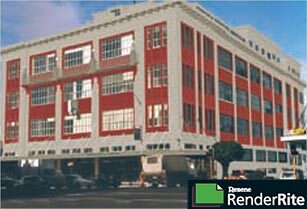 The Resene RenderRite service operates a Resene EzyPaint library facility enabling you to borrow and load the Resene EzyPaint software free if you don’t already have a copy. Or you can download it free from the Resene website. High resolution images can easily be loaded into Resene EzyPaint, colour schemed and then saved as a jpeg and pasted into another document for reproduction at A4 size if desired. Resene EzyPaint rendered images generally give a more realistic representation of the finish than Photoshop images because the natural shading and textures are retained as an integral part of the Resene EzyPaint file whereas much of this detail is lost and must be artificially recreated when working with Photoshop unless the existing surfaces are clean. Alternatively let Resene RenderRite path, or path and paint your image using Photoshop technology. Completed files can be returned to you enabling you to continue virtual painting as you choose. Computer users must have Photoshop software to utilise this service. 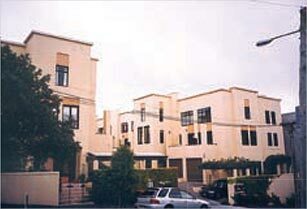 The electronic colouring services provided by Resene RenderRite can be achieved by any computer user running the Resene EzyPaint software. Simply download Resene EzyPaint from the Resene website or borrow a copy from your local Resene ColorShop and follow the instructions. If you prefer to use your own architectural software, you can use the Resene ColorRite section of Resene EzyPaint or visit our online colour library to find the colours, textures or patterns you wish to use and save them as jpegs for use in the software of your choice. Or use Resene RGB values to recreate the Resene colour you desire in the software you are using. Resene colours are also available from the Resene website in AutoCAD colour books and in file formats suitable for ArchiCAD, Google Sketchup and Spirit 11. Resene EzyPaint gives you the ﬂexibility to create quick colour schemes using the extended gallery of over 200 images in just a few minutes or virtually paint your client’s project in an hour or so. 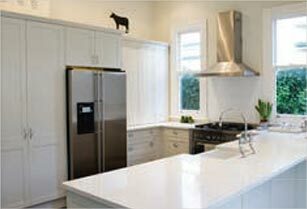 You can electronically paint anything from houses, furniture and commercial buildings to plans and drawings. Picture it: Take a digital photo or scan in your selected image and save as a jpeg. Path it: Use the Resene EzyPath feature of Resene EzyPaint to mask out the areas you wish to recolour using the pathing tools provided. Create individual paths for each area ready for virtual painting. Save your completed paths and return to the Resene EzyPaint section. Paint it: Now that you have your areas masked as paths, you can quickly manipulate the colours with your mouse. 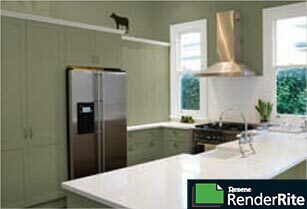 Open the Resene EzyPaint section and your image from the Resene EzyPaint image gallery. Click and drag your selected swatch over the area you wish to recolour and see it change to your chosen colour. Reselect different colours and paths until you have created the perfect colour scheme. Save and start on a new scheme if desired. Using Resene EzyPaint to virtually paint your own image takes longer than using one of the gallery images due to the need to create the paths, but you will be well rewarded when you see the colour scheme on the actual project. Print it: With Resene EzyPaint you have the flexibility to print and save your colour schemes or email the completed schemes to clients or colleagues. Resene RenderRite service can supply you with a fully pathed Resene EzyPaint file, leaving you to paint and print in minutes. Or select the path and paint option then adjust the colour scheme to suit. Resene EzyPaint is free to download here. 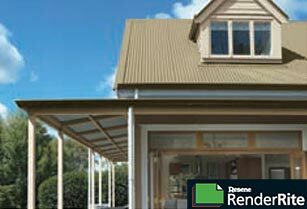 Remember, if you are unsure whether you have the time to colour your project yourself or whether you would benefit from the Resene RenderRite service, contact either Resene RenderRite by email renderrite@resene.co.nz or your Resene representative to discuss your options.